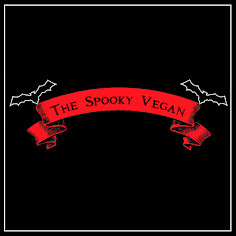 The Spooky Vegan: 13 Days of Creepmas: Merry Krampusnacht! Krampus is a mythical creature recognized in Alpine countries. According to legend, Krampus accompanies Saint Nicholas during the Christmas season, warning and punishing bad children, in contrast to St. Nicholas, who gives gifts to good children. When the Krampus finds a particularly naughty child, it stuffs the child in its sack and carries the frightened child away to its lair, presumably to devour for its Christmas dinner. In the Alpine regions, Krampus is represented as a beast-like creature, generally demonic in appearance. The creature has roots in Germanic folklore. 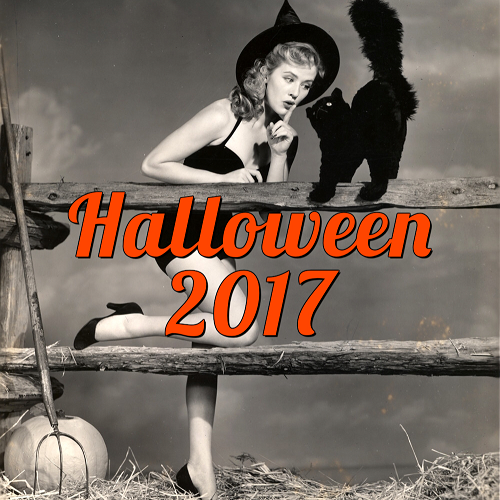 Traditionally young men dress up as the Krampus in Austria, southern Bavaria, South Tyrol, Hungary, Slovenia and Croatia during the first week of December, particularly on the evening of 5 December, and roam the streets frightening children with rusty chains and bells. Krampus is featured on holiday greeting cards called Krampuskarten. 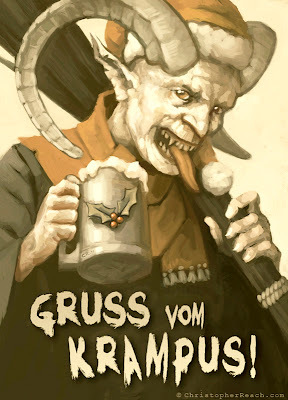 There are many names for Krampus, as well as many regional variations in portrayal and celebration. The Feast of St. Nicholas is celebrated in parts of Europe on December 6. In Alpine countries, Saint Nicholas has a devilish companion named Krampus On the preceding evening, Krampus Night or Krampusnacht, the hairy devil appears on the streets. Sometimes accompanying St. Nicholas and sometimes on his own, Krampus visits homes and businesses. The Saint usually appears in the vestments of a bishop such as the mitre, and he carries a ceremonial staff. Unlike North American versions of Santa Claus, in these celebrations Saint Nicholas concerns himself only with the good children, while Krampus is responsible for the bad. 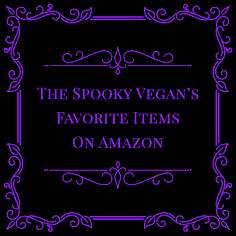 Nicholas dispenses gifts, while Krampus supplies coal and the ruten bundles. 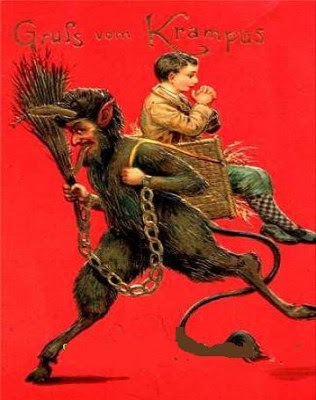 I have also loved the traditional Krampus holiday cards that have been around since the 1800s and the general imagery of Krampus. 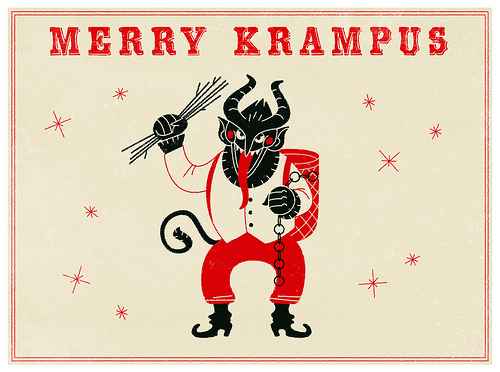 If you are looking for some Krampus e-cards to send out to terrify your friends and family, Krampus.com has some excellent ones (and they are free, too!). 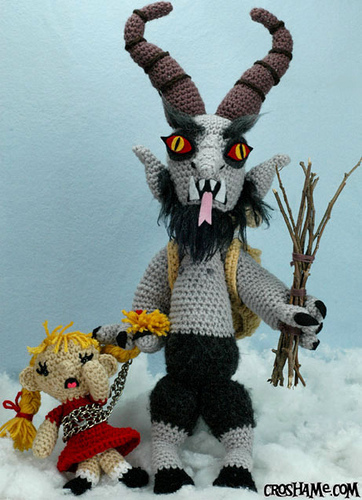 You can check out more on the history of Krampus as see more photos, videos, etc. 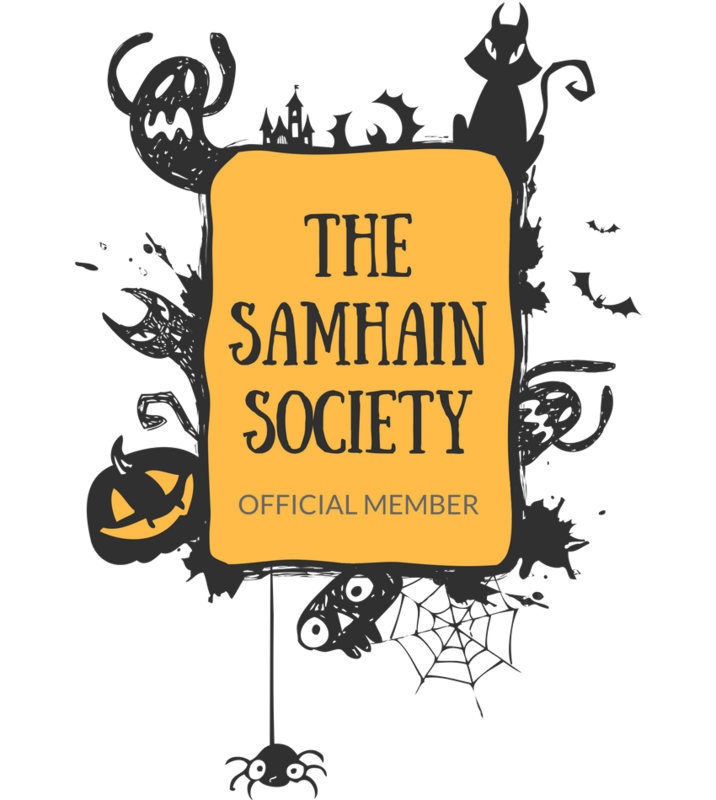 on Krampus.com! Great post. I love this. 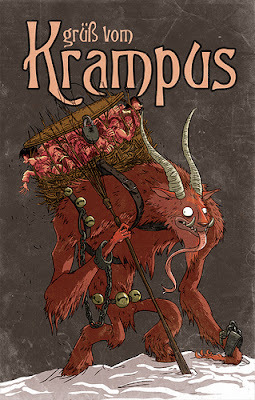 Krampus is part of the reason we decided to do Creepmas during the first 13 days of December. He's the original spirit of Creepmas!